The ballot sheets are out for the 2018 Hall of Fame, with voters having to make the agonising decision of picking just five fighters from the list of 32 – with just three of these fighters going through. This, as ESPN writer Dan Rafael explains, means two of the above new additions on the ballot – Hatton, Klitshko, Calderon, Morales, Wright – will be left out. Each of the above five fighters is absolutely deserving of being enshrined at Canastota, and as Rafael says in a tweet, it will be “brutal” making his decision this year. Which three of the above fighters deserve to go into The Hall? Again, all five deserve the honour but this simply cannot happen, so which of the three deserve it the most? Klitschko, a long-reigning WBC heavyweight champion has fine credentials, even though it could be argued his quality of opposition was not that great, at least in terms of fighters “Dr. Iron Fist” defeated. Indeed, the Lennox Lewis fight, which Klitschko lost via bloody TKO, is his defining fight. 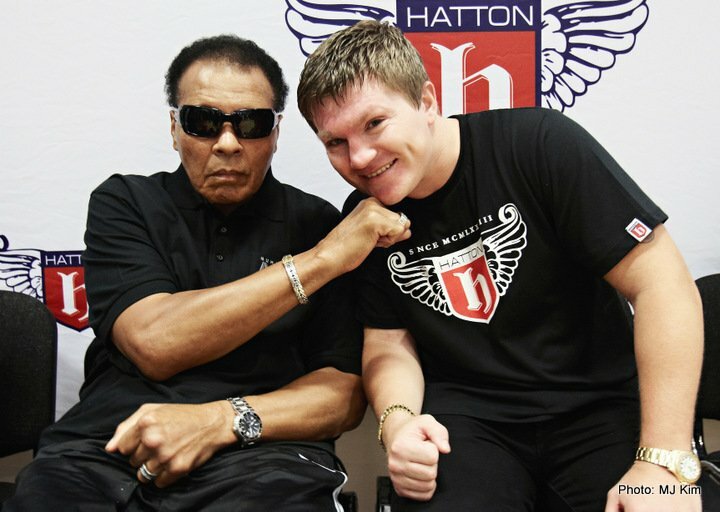 Ricky Hatton, an absolute superstar in the UK, who also at least partially conquered America, holds that huge win over the great Kostya Tszyu, but he too lost his biggest fights – to Floyd Mayweather and (by nasty KO) to Manny Pacquiao. Erik Morales, for this writer the best of the five new additions, is an absolute slam-dunk, without a doubt. The Mexican legend fought a number of epic wars, beating the likes of: Marco Antonio Barrera, Manny Pacquiao, Daniel Zaragoza, Wayne McCullough and many others. “El Terrible” achieved oh, so much during his long career. Winky Wright was a southpaw boxing master nobody wanted to mess with, for a long time at least. Eventually the big fights came, and Wright capitalised by twice beating the great Sugar Shane Mosley, as well as Felix Trinidad and Ike Quartey. Winky also held middleweight king Jermain Taylor to a draw. As for little guy Ivan “Iron Boy” Calderon, the boxing purists loved him. Super-slick, the Puerto Rican held both the WBO minimumweight and WBO light-flyweight titles for an incredibly long time – seven years in all. Standing just 5.0” the southpaw was truly a giant in the land of the little men. Indeed it is going to be sad to see two of these special fighters left out of next year’s HOF. For what it’s worth, though, the three fighters I would see go through are Morales, Calderon and Wright. How about you? Previous boxing news: Is there a way back to the top for Amir Khan? Next boxing news: It’s back to square one for Wilder but can “The Bronze Bomber” stop Bermane Stiverne this time?